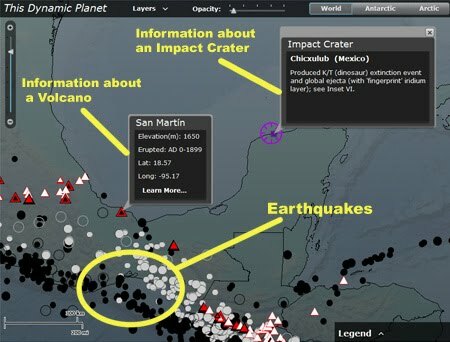 The above app is an alternative for the the interactive map named "The Dynamic Planet" that I had initially included in this post. But since it was based on flash, now it can only be accessed by this link now. 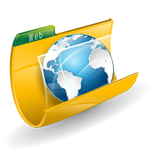 The text below refers to that flash utility. I hope you understand. 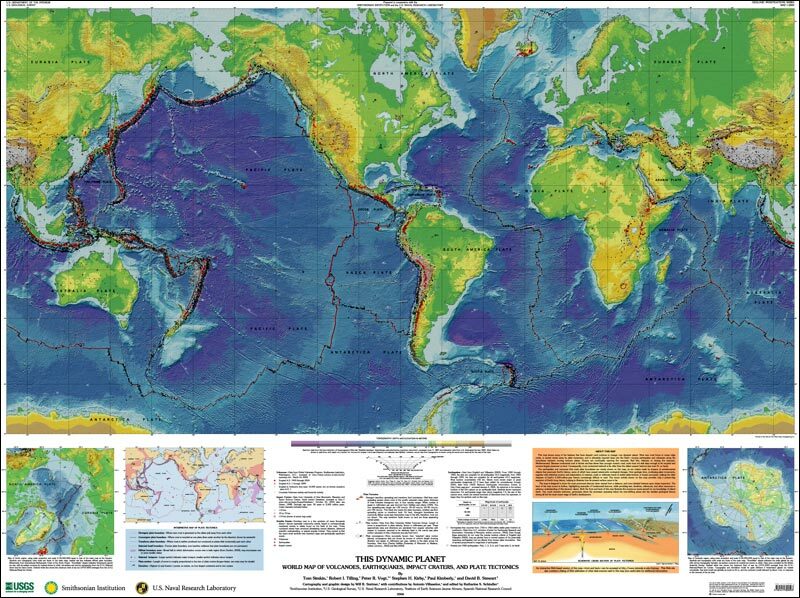 This is an interesting map I found when I was searching for an earthquake distribution map. 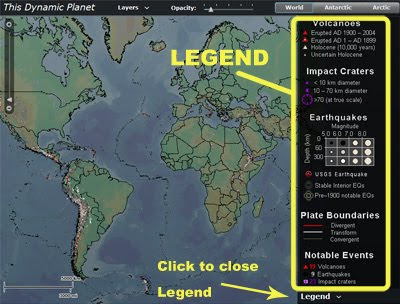 Actually, not only you can get an earthquake map to explore locations of earthquakes around the globe, you can also explore the distribution of volcanoes, you can view the plate tectonic boundaries and you can explore the known locations of impact craters. Hide the legend - You can hide it by clicking on the word "Legend". 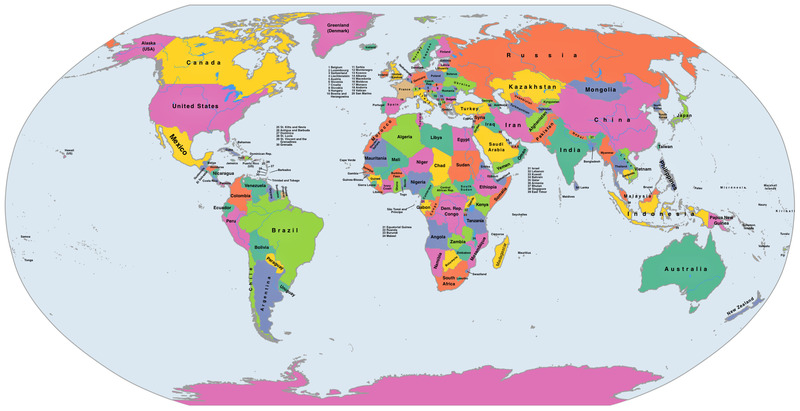 This way you can view a wider map. 2. Zoom tool: At you left side you have the zoom tool that you can use to zoom in or out as you wish. You may have to zoom in to be able to view symbols properly. 3. Opacity: By reducing the opacity you can dilute the background making the events and geologic features more evident, more visible. 4. Layers: This is where you choose what you want to be shown on the map. 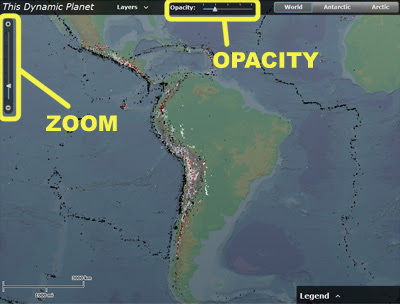 For volcanoes you can choose "all", "erupted AD 1900-2004", "erupted AD 0-1899" or "Holocene (10000 years)". You can limit the impact craters to a certain diameter. For earthquakes you can specify magnitude and depth among other options. 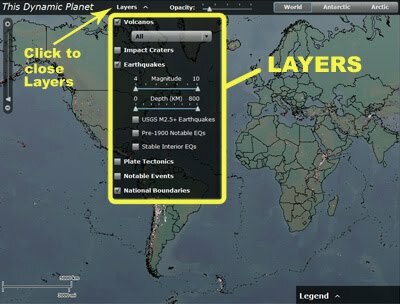 You can choose to show all plate tectonic boundaries, or select only divergent, transform or convergent, plate motion and plate names. Notable Events is another option that you can tick to show extraordinary events that occurred in the geologic history of the earth. Hide the layers menu - You can hide it by clicking on the word "Layers". 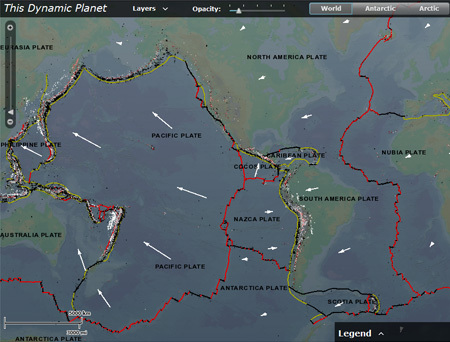 A great feature of this map is that you can explore tectonic plates. Boundaries are defined by lines of different color. Arrows indicate direction of movement of each plate. 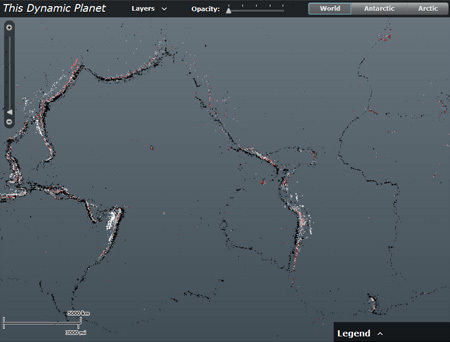 Can you see tectonic plates depicted by all those black, white and red dots?